French bulldogs are the most searched-for breed for sale online, new figures released today by Gumtree and the RSPCA reveal. As new figures show there were more than 66,000 searches for the fashionable breed in just one month (February 2017) on the popular classified online marketplace, closely followed by Labradors and pugs, the RSPCA is highlighting the risks and realities of buying puppies on the internet. The figures also reveal that the use of online websites to sell and rehome dogs has exploded within the last decade as Gumtree recorded a 785% increase in the number of dogs being listed on its site in Great Britain in the past 10 years (2007-2016)*. Teaming up with Gumtree, the RSPCA has warned buyers to take care when looking for dogs online as the internet can provide the perfect marketplace for the unscrupulous puppy trade which puts profit over welfare. “These figures are hugely concerning as they show the sheer number of people using the internet to buy and sell dogs. These are living, sentient creatures, which are being traded as easily as a second-hand car or a piece of furniture,” Justine Williams, from the RSPCA, said. Gumtree’s research shows that in just one month (February 2017), almost 10,000 listings were posted on the site advertising dogs, while there were more than 286,000 searches by prospective buyers for ‘puppies for sale’. And over a year, 204,182 adverts for dogs were posted on the classified site. “Whilst most people have safe and successful experiences rehoming dogs on Gumtree, there are a minority of unscrupulous breeders and dealers who put profit ahead of the health and welfare of the animals,” Morten Heuing, general manager at Gumtree UK, said. “We take the welfare of animals very seriously and work hard to ensure our site is a safe place to find pets in need of rehoming. Our dedicated safety team takes steps to make it as hard as possible for illegal traders to operate on the site. For example, we do not allow ‘wanted’ ads in our ‘Pets’ category and we delete any ads we believe are encouraging or indicate signs of animal cruelty. If users have concerns about an ad on our site, they can use the ‘Report an Ad’ button on our website and our safety team will then investigate it. The most searched for breeds included pugs, chihuahuas, dachshunds, Pomeranians and Yorkshire terriers, each attracting more than 35,000 searches. The RSPCA fears the soaring demand for these fashionable breeds is fuelling the puppy trade as demand drastically outstrips the numbers coming to market via legitimate and responsible sources. Last year, the UK’s largest and oldest animal welfare charity saw its busiest year tackling the underground puppy trade, receiving more calls than ever from people reporting questionable breeders and dealers. The RSPCA is seeing a steady rise in the number of complaints coming in about the illegal puppy trade and, in 2016, dealt with 6% more calls than the previous year, and 132% more than five years before**. RSPCA chief inspector Ian Briggs, who leads the charity’s special investigations into the puppy trade, said: “There’s huge demand for certain breeds of dogs that have been popularised and, as responsible breeders struggle to keep up with demand, underground breeders and traders are filling the gap in the market and are offering buyers the chance to buy puppies at cheaper prices and without waiting lists - often with disastrous consequences. 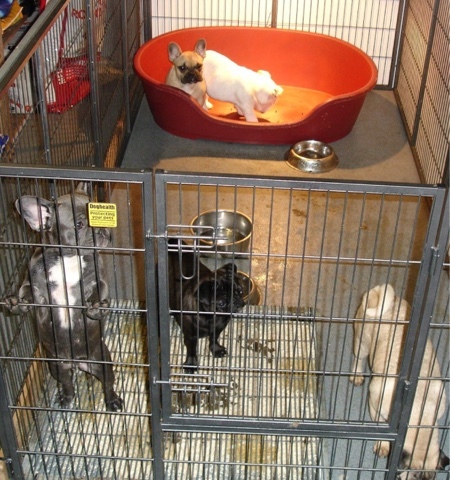 “This is the price of poor puppy breeding - buyers faced with sick and dying puppies who need intensive treatment or lifelong behavioural support; a surge in these breeds coming into the care of rescue centres from people who did not do their research before taking on a dog that requires a lot of time and commitment; and an increase in the number of these breeds being abandoned either because, as puppies, they didn’t sell or became poorly, or as breeding stock they couldn’t produce litters anymore. Organisations like the RSPCA are left picking up the pieces, and the animals are paying the ultimate price - often with their lives. “That’s why we’re urging families considering getting a puppy over the summer holidays to be cautious when choosing who and where to buy from and - as hard as it may be - to walk away and contact the RSPCA or the local authority if something doesn’t seem right. The RSPCA has released a video warning buyers what to look out for, and is encouraging prospective buyers to consider rehoming a dog from a rescue centre. 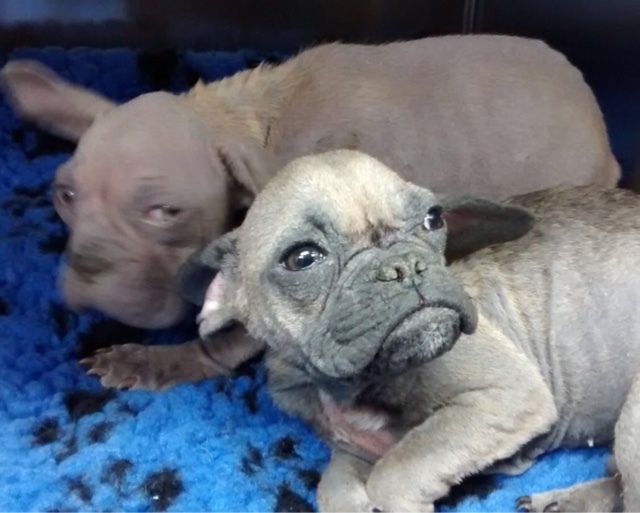 If you’re concerned about a breeder, please contact the RSPCA’s 24-hour emergency hotline on 0300 1234 999. And to help the RSPCA continue investigating the illegal puppy trade and rescuing, rehabilitating and rehoming dogs saved from puppy farms please visit: www.rspca.org.uk/give or text LOVE to 87023 to give £3 (Text costs £3 + one standard network rate message).